Whether you are planning on constructing a new home or need getting your old home modernized, choosing the exterior or entry doors is going to be a crucial decision; since much of the elevation of your house is dependent on the doors and windows you choose. While choosing doors for your house, you need to take certain factors into account. Picking out the best door is not a difficult task; however, opting out for the one which also fits in perfectly with your budget is the tough task. For this you need to acquire the services of a Pakistani interior designer and construction professional such as Amer Adnan. 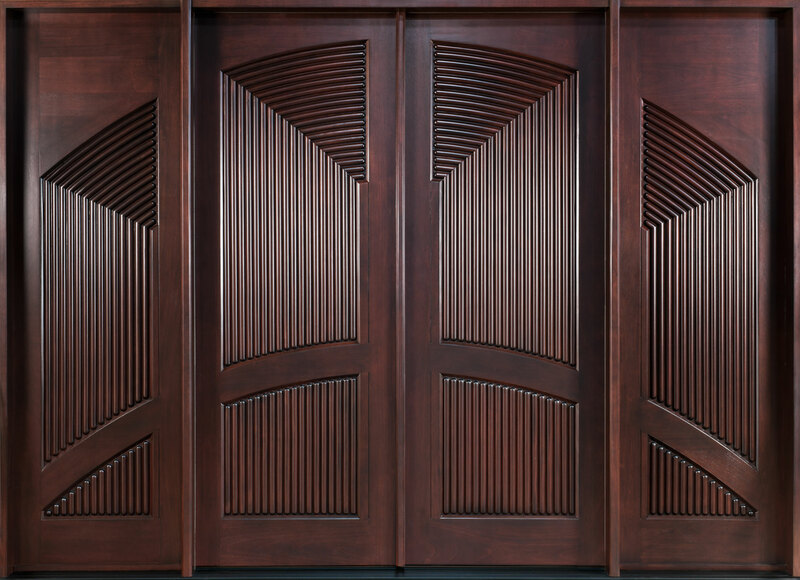 If you want to add the traditional elegance of wood to your dream home then you should opt for wooden exterior doors. There is no other material in the world which can replace the natural beauty of wooden doors. They are manufactured in a variety of finishes and designs which include traditional as well as contemporary. The wooden doors are also added with special finishes such as varnish and paints for added looks. For a typical wooden door, it would be the best idea to choose a golden doorknob. The wooden doors are available with ease and are suitable for all sizes of doorframes. Apart from their benefits, the disadvantages of wooden doors are also there. They are susceptible to extreme environmental conditions. You need to regularly polish or paint them, or else they will rot. These doors shrink in winters and expand in summers, causing great inconvenience. The doors made of steel are ideal for people with durability and security as the primary concerns. The steel doors are strong and therefore ensure the safety of your home. They are not only resistant to climatic conditions but are also resistant against fire, unlike wooden doors. The steel doors are long lasting and once they are installed, last for many years. The disadvantages of steel doors include the looks in the first place. They can never replace the unique elegance of wooden doors. Since the steel doors are quite heavy, they are difficult to fit; and hence, require special tools for fitting. A fiberglass exterior is not only cost efficient solution but is also good for insulation purposes. This type of door has an elegant appearance which matches with a wooden door. Being one of the best choices for budget, security and beauty conscious people, the fiberglass exterior doors are increasingly becoming popular all over Pakistan. If you ask for advice from an expert designer and Architect in Lahore, he will also recommend you to keep the fiberglass doors as foremost choice. Apart from those mentioned above, there are variety of doors made out of various materials such as vinyl, aluminum and many more.